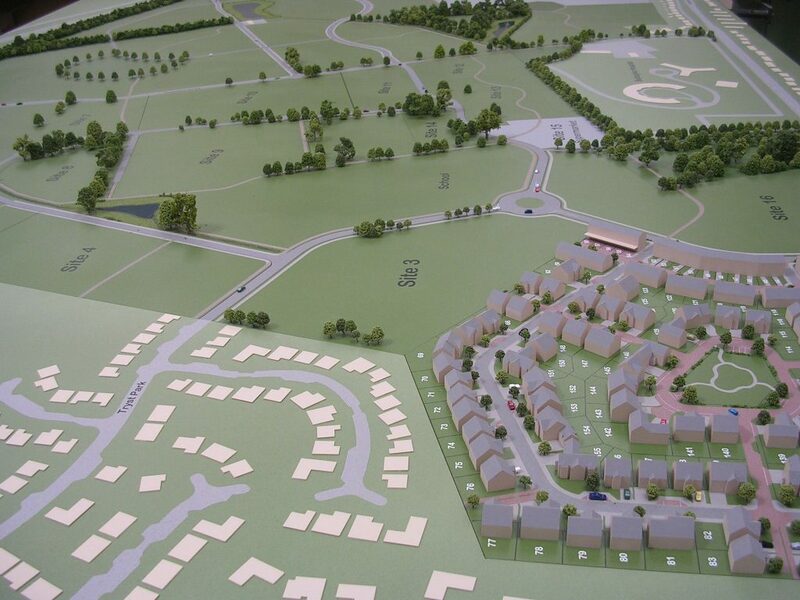 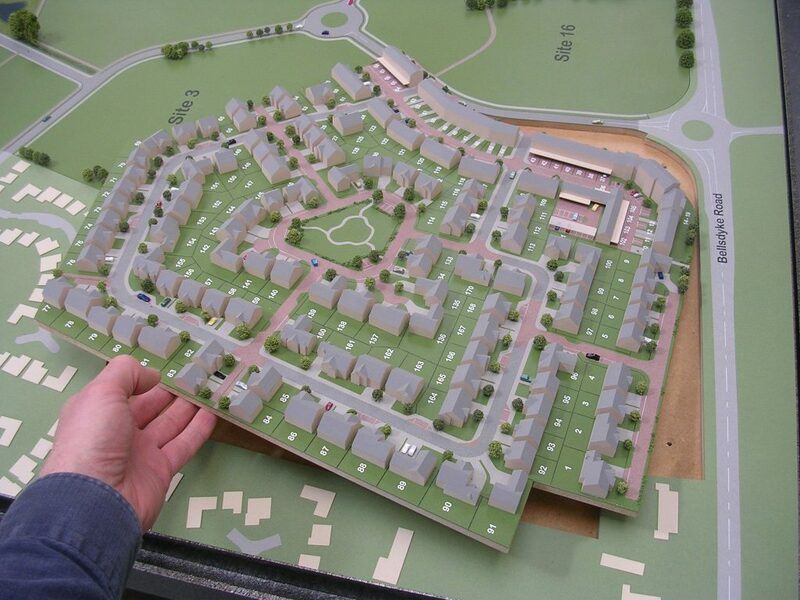 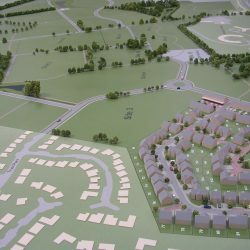 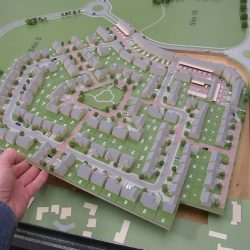 Inver Models was commissioned to produce this marketing model of an estate, showing the progressive development of Kinnaird Village. 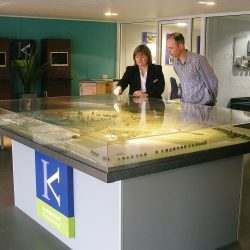 With a 2.5 x 1.5m base, the model was constructed with 16 removable plus, each having a duplicate which Inver Models retained. 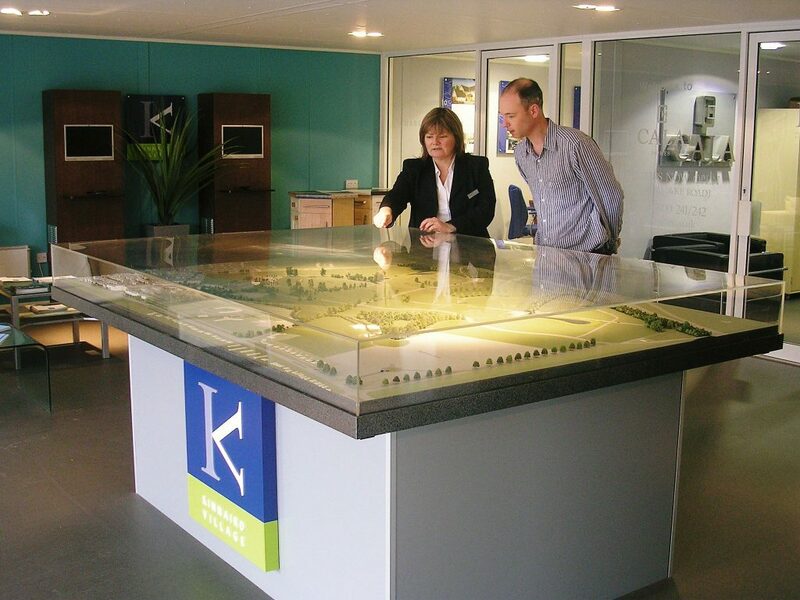 As the client entered each phase, the duplicate plugs were remodelled and then swapped on site – without the model ever having to leave the marketing suite. 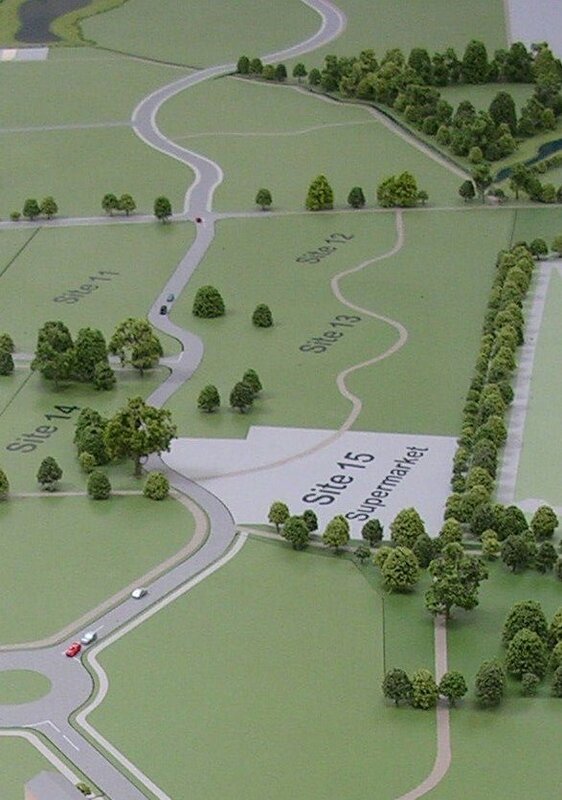 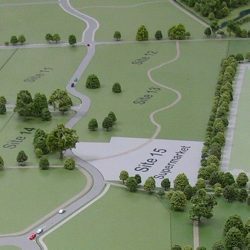 The model was produced at 1:600 scale, with block housing and footprints for offsite areas.